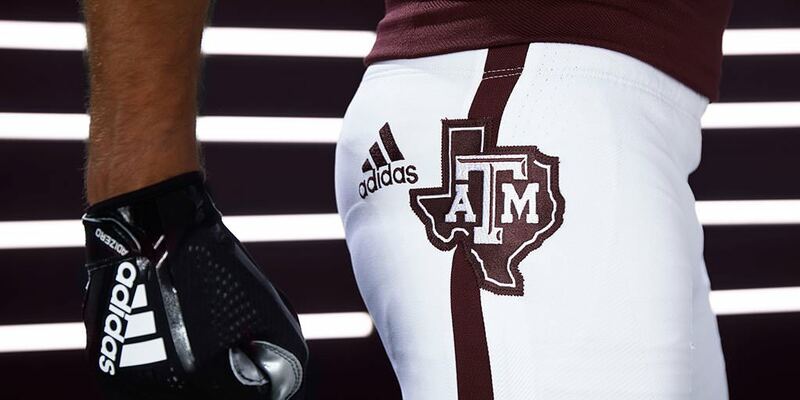 So, is it possible that A&M put their pants on backwards for the photoshoot? Because it kinda seems like that’s what happened. adidas has no idea what to do with their own logo do they? with Nebraska, they have it on the left pocket of the white pants, then on the red it's replaced by the school's "N". and then there's A&M...why the absolute hell would they do that?! i'm so disappointed with ASU. they had a great uniform when Nike first rolled that out; it defined badass-ery! this new design feels rushed to me and only having seen the home jersey here, i would hope the road/alternates don't suffer from the same mistakes. the flag motif on the jersey does reflect the actual flag well in one way, that the star and selected sun rays are darker than the field (yellow, on the flag) it sits on. but pulling the elements apart and using them as a "watermark" on the jersey doesn't work for me in the same way as they do on the flag— you're already starting with missing elements here and the star and rays would feel much better if they were lighter than the jersey base color. they are representations of light, after all. What the actual :censored:. Can Adidas not make good replicas? No they can’t. I purchased two after the switch (Desert Ice and Tillman throwback) and both are downright unwearable. And yeah these Sun Devils unis are pretty meh. They’re going for a really traditional look, which I appreciate because it has a lot of history, but using the pitchfork causes it to fall flat. It’s trying to blend two eras together in a way that just doesn’t work. The original Nike set is the best they’e ever looked (including the original Desert Fuel set, which is my favorite uniform they’e ever had) and it’s been all downhill since Adidas took over. They’re just such an inferior manufacturer in comparison to Nike. At least when it comes to football uniforms. This is even worse since it's the old New England Patriots treatment with opposite colored numbers. The L is too big too. The only "cool" part of the uniform is the sleeves but even then they bleed over into the yoke. In fairness to Michigan State, their colors are green and white. 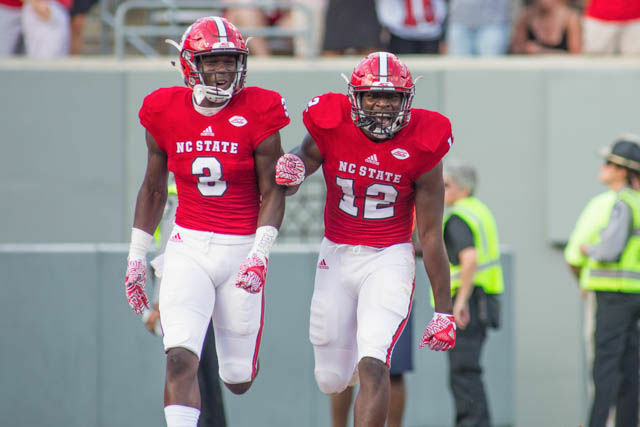 If they are going to have an alternate helmet, better it be a school color like white than the bronze ones they wore a few times, don't you think? 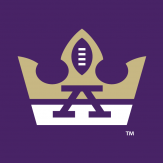 I'd say the same for Northwestern, too, since their colors are purple and white, and they've worn white helmets several other years in their history before it became trendy. If a school only has two colors, is it really necessary to have helmets in both of them? For Northwestern, their colors are purple, black, and white, and the football team has a long history of wearing black (going back to the 1995 Rose Bowl team), so it makes sense for them to have a black alternate helmet more than a white one. With the exception of TV number placement that's what they just had. They do look incomplete though since they removed the number trim and put nothing on the shoulders. They should have added black in between the white stripes as well. They STILL have PT42 on the jerseys? This is different than the current green jersey, but is it anything new? 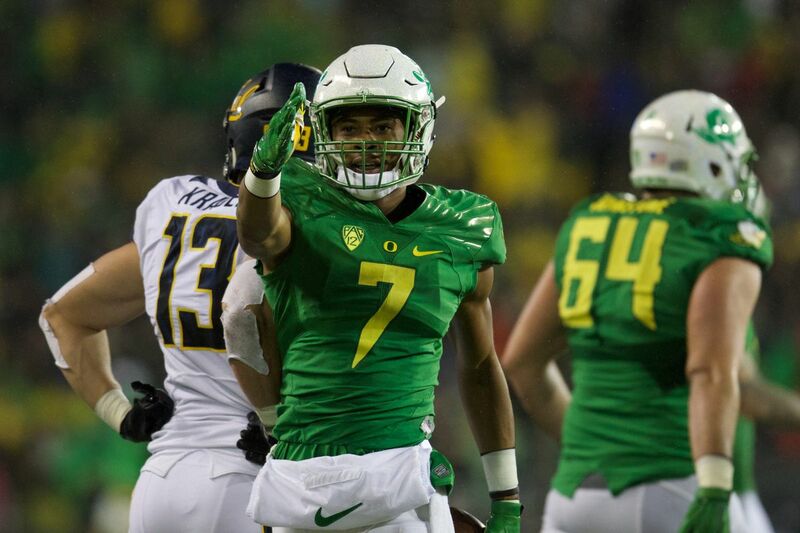 Hopefully it's a return to the late Mariota era jerseys. This is different than the current green jersey, but is it anything new? The flag sublimation, while a cool idea, honestly doesn't look good on ASU's jerseys. Look at how stretched and warped that star is. This design element might have worked on an actually good template (Nike's Vapor Untouchable comes to mind), but it doesn't work on a TechFit template. I thought the pitchfork-inspired stripes were a perfectly fine element, but I can understand why they ditched them since they were kind of similar to USC's stripes (especially back in the Nike era when they were on the shoulders). 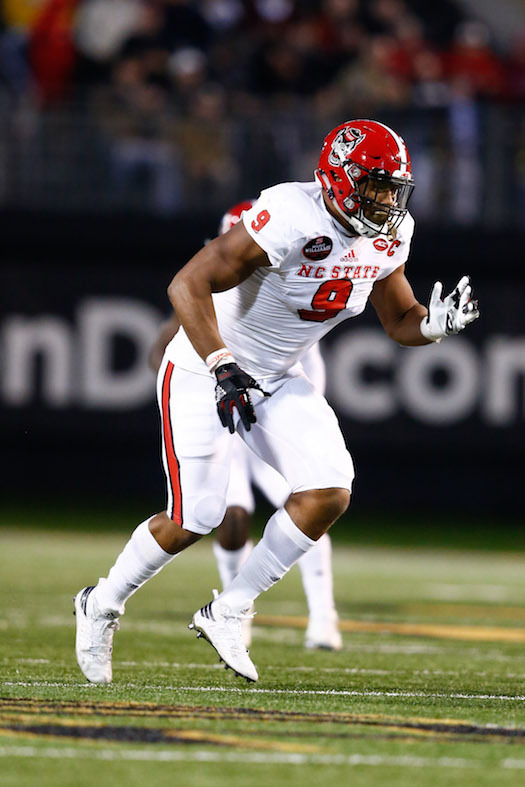 However, without any visible, non-sublimated stripes, their jerseys now look plain. I do like that they kept the pitchfork on the helmets. 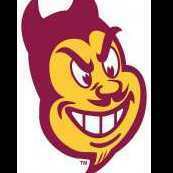 Unpopular opinion: the pitchfork is a better logo than Sparky and looks better on a helmet than Sparky. If we're talking about history, Northwestern wore white helmets for stretches in the 1950s, 1960s, 1970s, and 1980. Black helmets are relatively new for them, worn for the first time in 2012. And the black uniforms showed up in the 90s when black was added everywhere. I do like black for Northwestern, but they were just jumping on a fad in the 90s. When Gary Barnett came to NU, he changed the Wildcat uniform, making it look more like Colorado's-- black jerseys and all. However, Barnett claims in High Hopes that his son is responsible for the switch: "[Clay] complained about everything, even the way Northwestern's uniforms looked. So to get him involved and thinking positively, I said, 'Give me a better idea. How would you do the uniforms?' He said, 'Dad, the two hottest colors are purple and black.' He drew up the concept of the uniform with these colors, and I had some prototypes made up. With the exception of TV number placement that's what they just had. They do look incomplete though since they removed the number trim and put nothing on the shoulders. We haven't gone with a striped helmet since before Greg Schiano. Last year's set also did not have pants stripes. These are subtle changes, but I think important ones in that they incorporate a bit more black which balances out the look while also differentiating us from Wisconsin/Nebraska/Indiana. Maybe the negative spaces are the light rays and not the dark ones. The problem is the translation to the actual flag is unclear because two of the rays are missing. 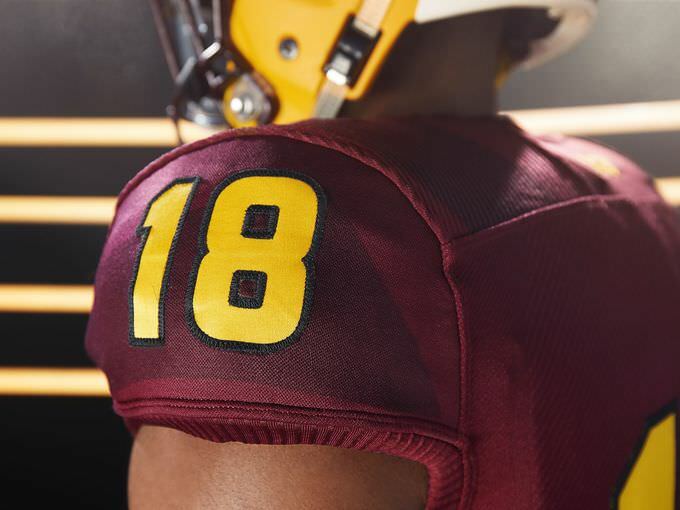 As for the lettering and numbers, those are ASU’s baby. 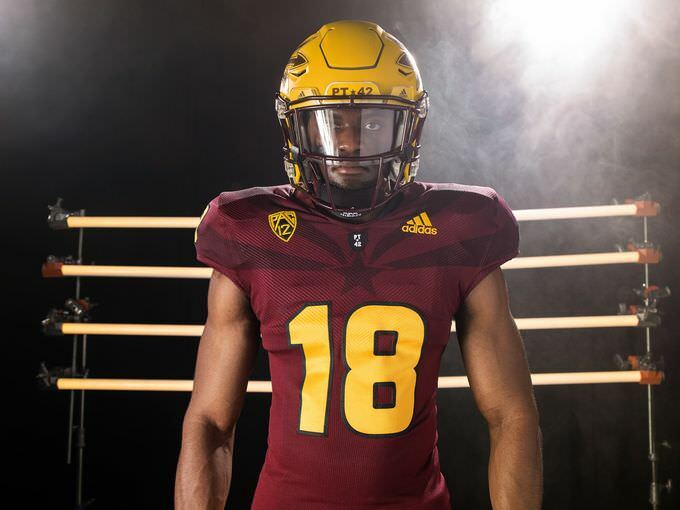 They were designed with Nike as part of that 2011 uniform overhaul you pointed out, and for better or worse, every ASU uniform in every sport will feature it for the foreseeable future. (I was a bit shocked, though, to find out that their lettering is just H&FJ/H&Co.’s Champion with spurs added to it; I thought it was truly custom for a long time). Imo this offseason Adidas has knocked all of their designs out of the park. The only ones I don’t really care for are the catalog order uniforms for the smaller schools but that’s not their fault. I did like ASU’s previous set minus the duct tape numbers and sleeve design but the new set is a classic look the Arizona flag detail is nice but overall won’t really be seen unless up close. 10/10 for Adidas. I'd argue that nobody wants to remember Northwestern football in the 1950s-80s. They wore black for their first good team in modern history, and black has been a significant part of their uniform since them - much more than white has been. I wouldn't say all, especially South Florida, South Miss and Louisville. I would say that the Primeknit A1 that the top echelon teams are getting was a GIGANTIC step up from the older Primeknit and Techfit uniforms that most of their teams are still wearing. 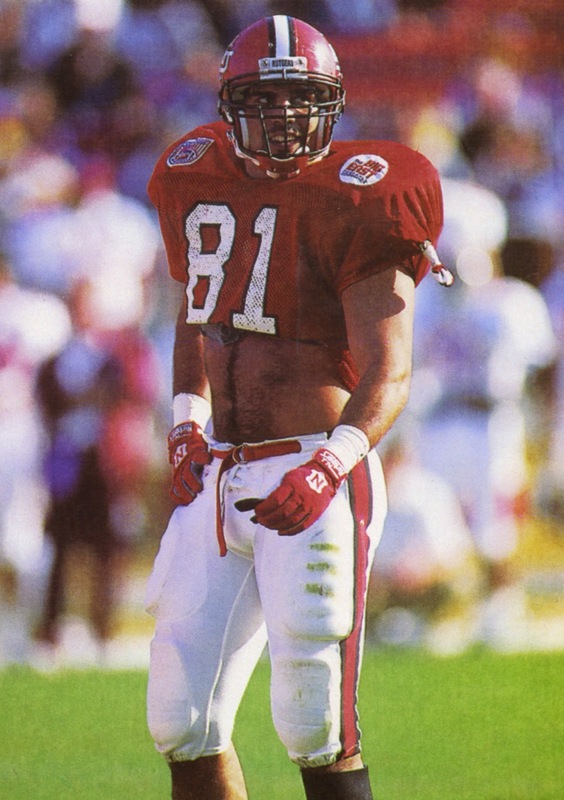 East Carolina was horrible as well, especially the pants with the logos up the sides. 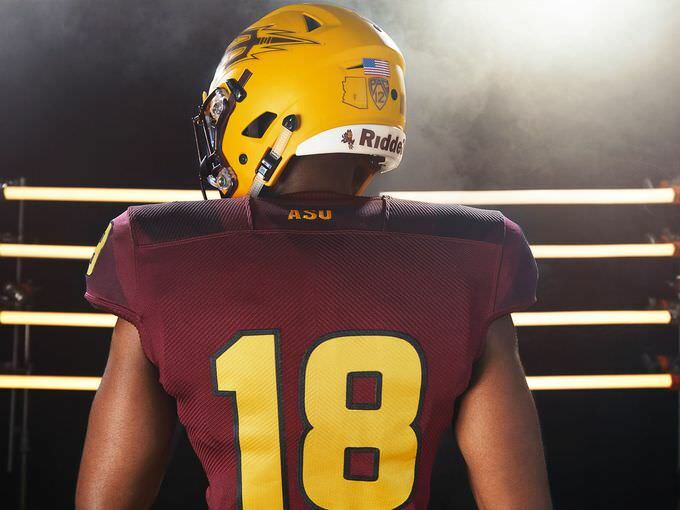 Asu really needs to ditch the black outline on the numbers and have I think be a white outline, maroon and gold with black outlines looks terrible. Someone mentioned that the number 8 in ASU’s font doesn’t match the rest of their font. I’d agree it’s too bubbly for the rest of their image. 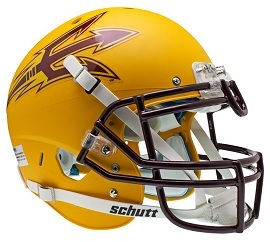 the problem with the helmet is that it really needs sparky and a center maroon stripe. And they need to go back to the original gold color of the helmet, not this flat yellow that they have now. And if the pitchfork is to stay on the helmet it needs to be two colors with no extra outlines and the colors can’t be the same as the shell of the helmet, otherwise it doesn’t look as good and it’s sharpness is missing. And it also needs a middle stripe on the helmet. youll notice what I’m talking about in this desert fuel uniform. White shell, copper fork, black outlines. It really pops! Plus the center stripe really helps for balance. As opposed to the current yellow helmet. The fork gets lost in the color of the shell. They need to make it have one outline, make it white. and go go back to the original gold color helmet.